Dupermag is is Child Theme Of SuperMag. You need to first install SuperMag ( https://wordpress.org/themes/supermag/ ) to activate and use this theme. DuperMag is perfect theme for news, magazine, blog, reviews or personal sites. Full image blog and full image single post make it really cool. DuperMag extend the SuperMag theme with more beautifully crafted design. In Search themes… type ‘DuperMag’. Note: DuperMag is child theme of SuperMag. SuperMag should be inside the Appearance > Themes. While download the theme from WordPress, both the child theme and parent theme will added on the theme. How to make your site as our Demo ? You want to make your site as same as our demo? Here i am going to present you how to make home page as demo. Please just follow the below procedure to make it. It’s simple to create home page. or Download theme from Here. Click on Save Changes to save the above data. 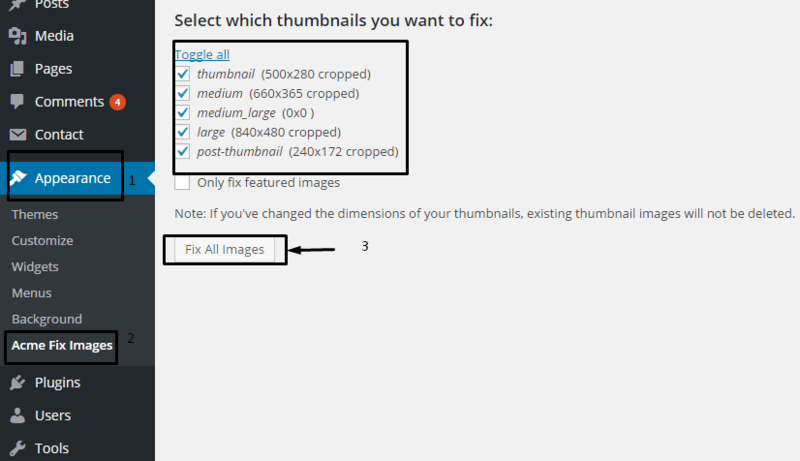 After completion the 2nd step, please install and activate plugin named Acme Fix Images. Wait until all the images fixed. Select the category from the dropdown. If not enabled, Checked on Enable Featured Section. You know how to add Categories and post? Please follow the below instruction to add categories and post. 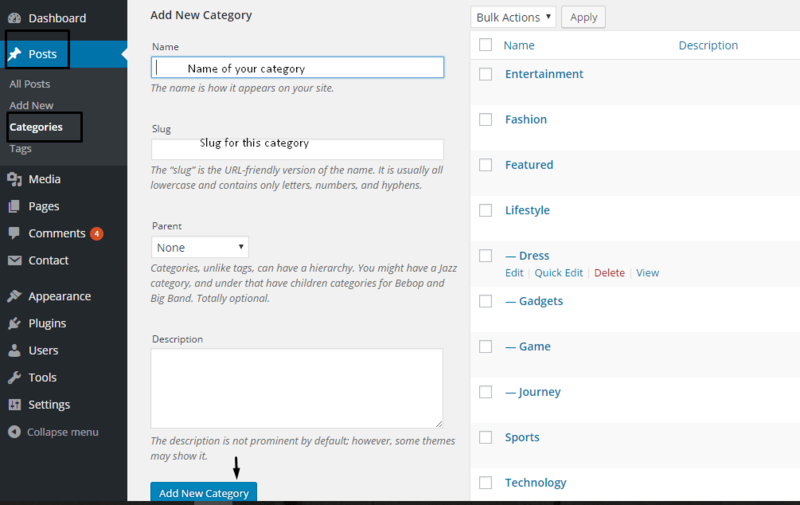 Category will automatically listed on the right side of categories list. Please see the below screenshot to know more easier. 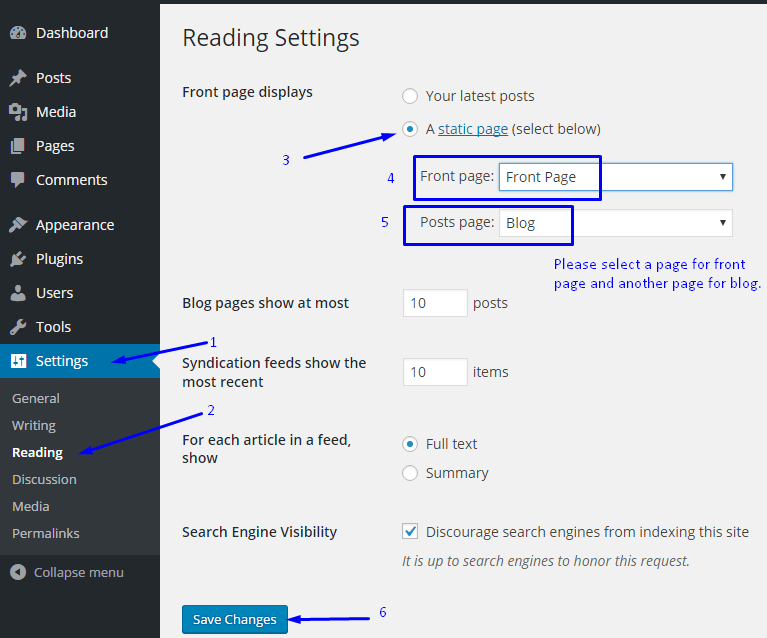 Are you wondering about how to add post on WordPress? It’s simple. Please follow the below steps and see screenshot. Click on publish to save the changes. See the below screenshot to know more details. You can add pages as similar with adding post. Please follow the below steps. ‘DuperMag‘ comes with advanced Theme Customization options. Please see the below screenshot for using customizer. Select a category for the slider right sections. Add the logo and checked below to show the logo. If preview is fine, click on `Save & Publish` to save the changes. Click on `Save & Publish` to save the changes. Enter the link of your respected social media URL, leave empty if not required any icons. If you want to use Ad Sense code, we recommend to use the premium version SuperMagPro. Write your own copyright text and click on Save & Publish to save the changes. Lots of options to customize the site are available on this sections. You add the background image from here. Add the image for the background. 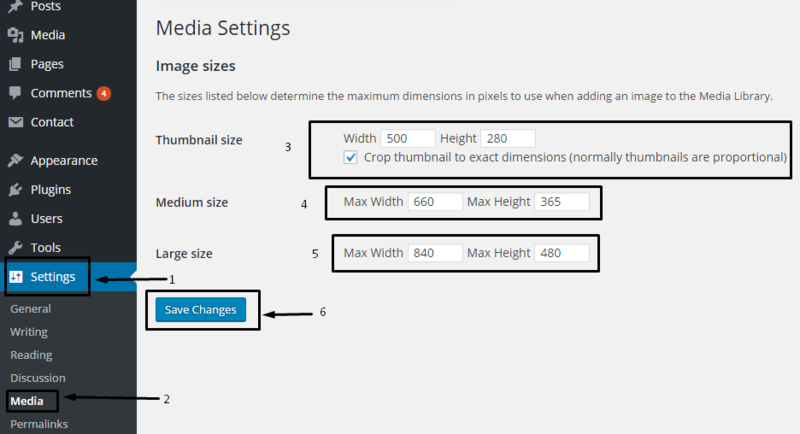 Customize the image as per need from the available options. Extra option for your site are available on this section. Manage breadcrumb and search placeholder from here.